Engineering Manger of Vintage Systems for Vulcan, INC.
An option for the PDP-12 was an XY point display. This replaced the oscilloscope option that was used in the LINC and LINC-8 systems. There were two models of XY point displays available from DEC: the VR-14 and VR-12. While they appear similar to each other, they are quite different internally. The PDP-12 at LCM+L came with a VR-14, and it was stock. In fact, it was so stock that it had the most common failure: blown power transistors in the X deflection amplifier and a blown main fuse. 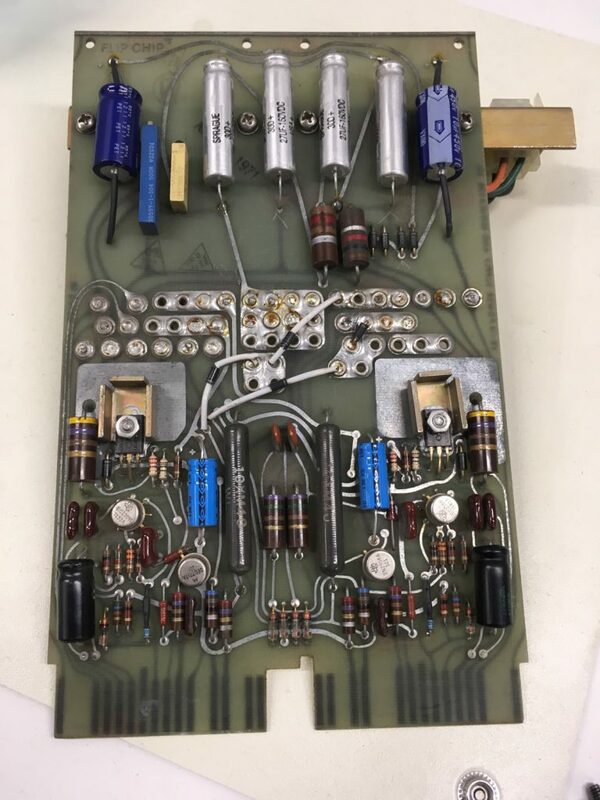 After studying the schematics in the pdp-12 directory on bitsavers, the power transistors were replaced, pads freshly greased, fuses replaced and the VR-14 came back to life .. for a while. It seemed to run for 3 months at a time, though it would fail consistently with a blown power transistor in the X deflection. The power transistors are 2N4399 and 2N5302 and are used in pairs. When one fails, it almost always takes out the other. 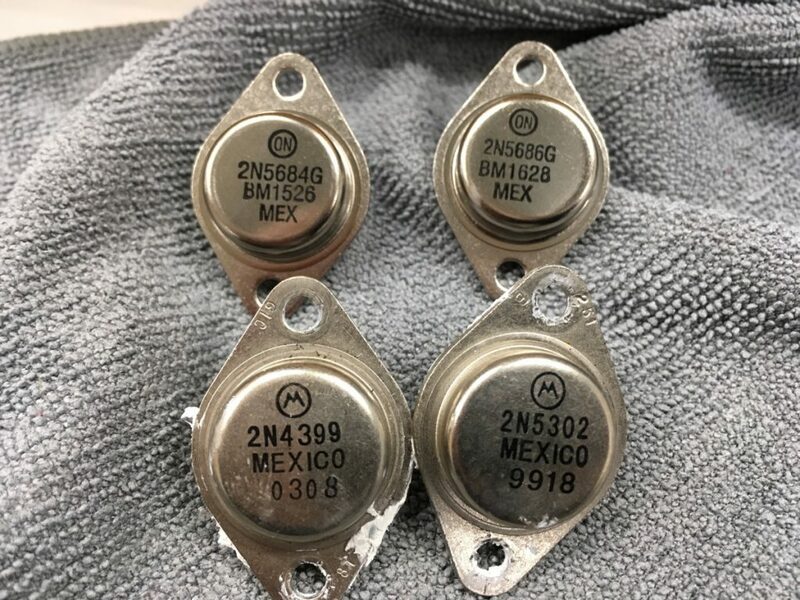 In fact, the DEC documentation states that all power transistors should be replaced as their failure may cause the others to become marginal. When servicing a VR14 or VR20 Display, it is relatively easy to replace a faulty component and obtain a display on the screen. However, this method of maintenance usually fails to eliminate the problem that caused the component failure. Until the cause is found and corrected, fuses and transistors may have to be replaced almost on a weekly basis. The purpose of this document is to provide procedures to determine the cause of a component failure. This document then goes on to describe 6 ECOs which change a few resistor values, drops the voltage of the main supply and moves the location of the X deflection amplifier to improve cooling. 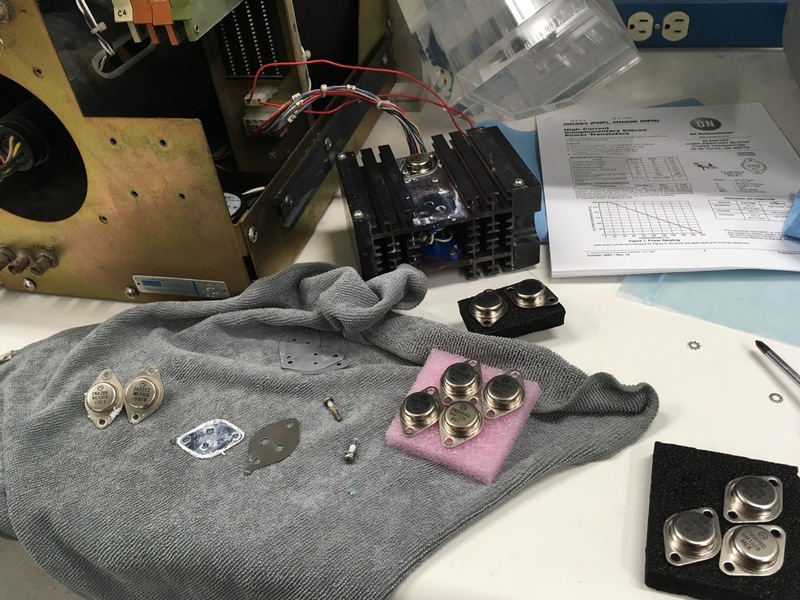 Even after doing all this, you may still run into failures, but our VR-14 ran for over a year without failures. So we wanted to improve upon this and we determined that the 2N4399 can be replaced with the higher rated 2N5684G and the 2N5302 can be replaced with the higher rated 2N5686G. There are also ECOs for the two A225 XY deflection flipchips documented in the Troubleshooting Procedures. If you perform these ECOs and also use our suggested power transistors, you’ll make your VR14 much more reliable and enjoyable.